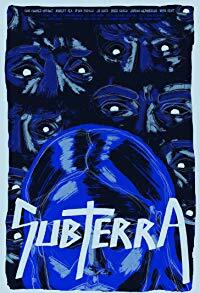 Writer/director Joel Villegas Saldaña's 'Subterra' (2017) tells the story of musician/singer Robbie (played by newcomer Dan Chavez-Wright) as he struggles to make it performing in a cover band. The film premiered at the 2018 Palm Springs International Shortfest. 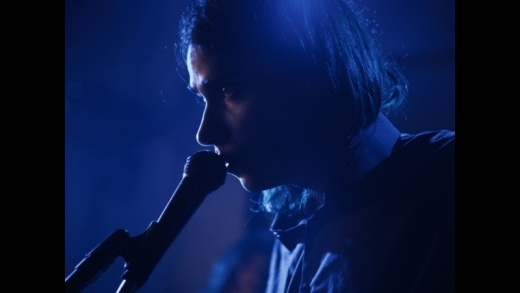 This is Villegas' directorial debut after working as a producer, editor and writer on multiple short films. JOEL: It's not based on real events exactly, but I was out at a local bar a couple years ago when I came across a cover band that looked like they should be opening for SLAYER instead. 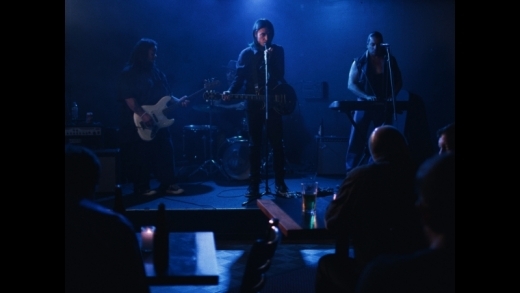 The characters and plot are all fictional but the inspiration for the film definitely came from running into that band. Was all the music filmed live by the actors? 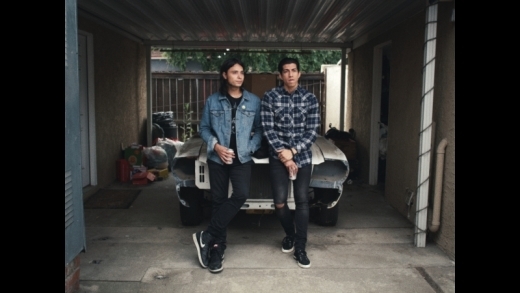 JOEL: Most of it was, the jam session in the garage and the performance at the kickback were all done live. The cover of "Lovesong" was recorded separately because we didn't have a lot of time in the bar and it was the most complicated performance. JOEL: At first we tried to do it ourselves through friends and sites like LA Casting but that proved too difficult because of how specific our requirements were (Hispanic with the right musical chops). Eventually we were connected with a Casting Director, Tiffany Tynes, who was able to help us out. Even with her help, it came down to the wire. We found our lead, Dan Chavez-Wright, on the last day of auditions and he initially came in to read for another character. Who have been your greatest influences in film? JOEL: Kevin Theal, Saumene Mehrdady, Justin Moore, Steve Kim, and Drew Horton. After this experience, do you think you will go on to a feature? JOEL: I'd love to. I'm currently writing what I hope will be my first feature but I also have two short scripts ready to go. It just depends on what opportunity pops up next. JOEL: I'm still trying to do that. JOEL: It was great! We've screened at other festivals before but this was our first experience at a festival of this caliber. Came away inspired by all the films I saw and filmmakers I met. Hope this is the first of many. JOEL: My grandma seemed to like it, that's all that really matters to me. JOEL: I recently directed a music video for The High Curbs that should be coming out soon and have a couple others in the works. Music Videos are kind of my "first love" so I'm always looking for bands and artists to work with.